Is the secret to Coca-Cola out? With ingredients such as 20 drops of orange oil, 30 drops of lemon oil and 10 drops of nutmeg oil, it sounds more like a home remedy than a top-secret formula. 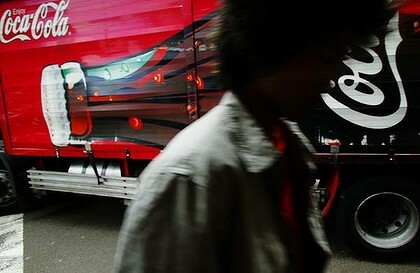 But an American radio program claims it has uncovered the exact recipe for Coca-Cola in the pages of a 1979 newspaper. Britain’s Daily Mail reports the program This American Lifepublished a photograph of a handwritten recipe for Coca-Cola from a February edition of the Atlanta Journal-Constitution. The blend of oils – also including coriander, neroli and cinnamon oils – and alcohol is reported to be the formula for the so-called “Merchandise 7X”, which gives the famed soft drink its distinctive flavour. The blog has also included a recipe published in a book in the 1990s, which is similar to the 1979 version, but calls for four times as much of each of the oils. The soft drink was created in 1886 by pharmacist John Pemberton in Atlanta, Georgia, and the recipe has always been kept under wraps. Legend has it that the exact details of the recipe are kept locked in a bank vault in Atlanta.